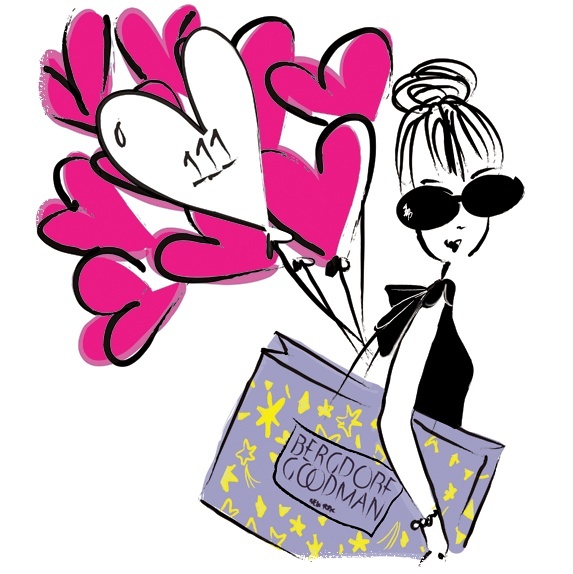 How Would You Spend an $100 Bergdorf Goodman Gift Card? Atelier Cologne Vanille Insensee, $65. This is Drew’s cologne, and I get all manner of warm fuzzies when I smell it. Since he’s taken his bottle to London for the year, it’s really about time that I got my own. Jo Malone Blackberry & Bay, $110. This is the only fruity perfume I’ve ever really liked in years. That combination of savory bay and grapefruit is nothing short of magic. Chanel Les Exclusifs 28 La Pausa, $110. This delicately gorgeous scent is my all-time favorite iris fragrance. The price is actually relatively good, too. Annick Goutal Le Violette Soliflore, $120. SO FREAKING PRETTY. Kilian Back to Black Solid Fragrance, $95. I’m not familiar with the Kilian solids and their quality, but Back to Black is one of those warm pipe tobacco perfumes that I just adore. Your turn! How would you spend my gift card? Drew gets major boyfriend points for his generous gift! I’ll be at Sniffa too, with gift cards in my sweaty little hand. My planned purchases are Chanel No. 22 and Private Collection Tuberose Gardenia. How would I advise you to spend yours? Well, maybe it’s my sentimental streak, but since Vanille Insensee is your sweetie’s fragrance, and you love it yourself, I’d suggest that one. You’ll smell good and think of him every time you wear it! I think you should drop your gift card while at JAR and as the SA bends to pick it up for you, SWIPE A COUPLA BOTTLES!! Repeat till your pockets, bag, the old lady next to you and your Burberry mac are full. RUN!! Then spend another month fantasizing about what you’ll get with your gift card. If I get caught, I’m taking you down with me! Portia put me up to this, JAR!! I love this advice!!!!! ❤ me some Portia! Hey now Portia has a great idea! Drop and swipe! I have a Vanille Insensee I’m looking to sell. Cheap. 98% full. And if Bergdorfs has the La Pausa I’d get that, because it really is freaking beautiful. I’ve only had a quick sniff of the JM B&B, but it seems to have potential. I’m in NY this week, is it too late to join the Sniffapalooza? How/ where would I get more info to join you guys? What ever you decide to buy, have fun sniffing and deciding. 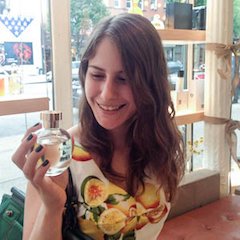 Tatiana, try this link to register for Sniffapalooza: http://events.r20.constantcontact.com/register/event?llr=96rw9udab&oeidk=a07e68p7z4pa03c32e0. Looks like Saturday is sold out (it says “contact us for other options”), but Sunday is still available. Good luck! Check your email, Tatiana! And I would love to buy your Vanille Insensee! Have fun at Sniffapalooza, Ari! I would most probably use my gift card at the Guerlain counter at Bergdorf’s. As for you: Pick the Chanel, it’s so classy and beautiful and I think it fits you perfectly. Thank you for the generous compliment, Birgit! I don’t have particularly strong feelings on iris scents in general, but 28 La Pausa is just so special. I’d go Blackberry and Bay, I think. But I admit to never having smelled the Goutal or Chanel. I like Back to Black, but solids?… I don’t know. Like This! Wish all decisions were like this!! Patty already wrote my thoughts about the Vanille Insensee reminding you of Drew! Buy it from Tatiana! Use the gift card for Chanel! I have to say the Chanel….go with that and you will have a treasure. It is not only classy like Olfactoria said but it is loaded with glamour just like you! How would I spend it? IMPULSE PURCHASE! But you are smarter than me. Looking forward to seeing you consider these options on Saturday! I’m right there with you on 28 La Pausa being my all-time favorite iris, and I’m a major iris fangirl. Do it! Dooooo it! Oh, and popped down to the States over the Thanksgiving weekend (whaaaat? doesn’t EVERYONE celebrate Thanksgiving in October?) and did a little perfume sniffing and got my hands on a sample of Blackberry and Bay. If I didn’t already have a major love for L’Ombre dans l’Eau, which smells similar on my skin, I’d be all over that baby. I’d get the Jo Malone. You said it was the only fruity one you’ve liked in years and that it was magic. Everyone needs some magic. Oh, I can sympathize with having a hard time deciding! When someone is wonderful and generous enough to gift me a gift card, I get a little paralyzed with wanting to spend it on the perfect thing! It sounds like you have a great selection to choose from!